The Philly Farm & Food Fest is your annual chance to meet local farmers and speak with other food makers from the region. Fair Food was kind enough to give us complimentary passes to this year's event in April (yes, better late than never with this post). I wasn't sure what to expect because similar food events are often overwhelming or too crowded to actually speak with the vendors. Neither was the case with Philly Farm & Food Fest. The crowd was just about right and I had plenty of time to chat with the vendors and sample their produce or food. I'm looking forward to next year and making some time to attend the classes and seminar discussions. What follows are nine observations about the local food movement in Philadelphia that I collected from the event. 1. The variety of farmers in our region is refreshing. I visited stands devoted to beef, chicken, kale, oysters, pears, cheese, bread, vegetables, pasta and countless other foods. As an advocate for local food , this was exciting to see. When you see the variety of farmers and the care each has for his or her products, you know locally-grown food options will continue to expand. 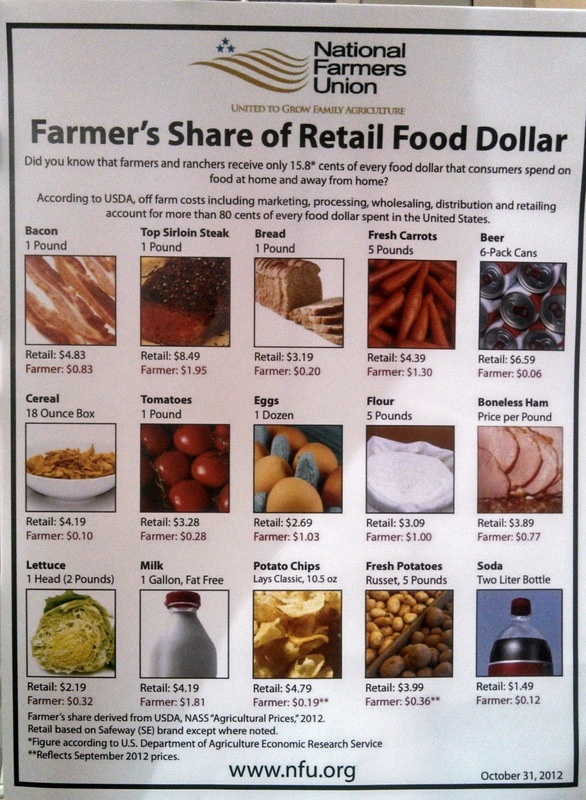 But the farmers often make so little profit off their crops (an average of 15.8 cents of every dollar Americans spend on food) that the more we support them directly, the better. 2. 2013 could be the breakout year for hard cider. Woodchuck, Mike's and others have traditionally branded hard ciders as something fruity and easy-to-drink. Expect that to change. Hank Frecon with Frecon’s Cidery said his cider farm branched out into hard cider in 2008 and continues to see demand grow. Their version was quite good and English-style rather than Woodchuck sweet. We're seeing craft ciders and ginger beers on more menus too. Crabbie's Ginger Beer, an import from the U.K., held an event recently to promote their brand. Anyone have a good hard cider during Philly Beer Week? 3. Try a whiskey sour this summer. Another drink with a poor reputation. Local distillery Dad’s Hat, is on a mission to bring back the real whiskey sour. His version would be excellent a warm summer night cocktail. 4. Home delivery is the future. 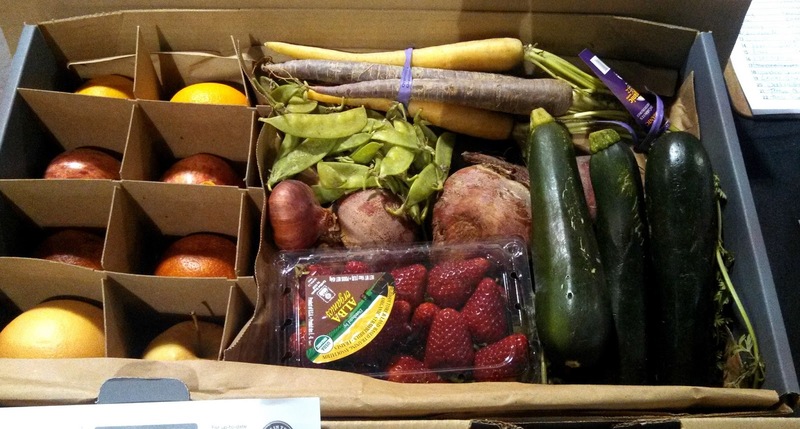 Farmer's Markets and CSAs (read our series on how to use a CSA) have been great options for the average person to obtain locally-produced food, but the internet is quickly making home delivery an affordable and convenient alternative. For example, The Fruit Guys is a regional distribution network that enables local farmers to reach consumers. Farmers deliver produce to the nearest hub and The Fruit Guys deliver the produce to workplaces or directly to your home. 5. Food is the new fun activity. When I was a kid, our farm experience consisted of checking out the farm's petting zoo. If the number of kids at the Philly Farm Fest was any guide, kids today are learning to appreciate farms for the food too. I saw kids sampling cheese, eating veggies (!!) and talking with farmers. Who would have thought that ten years ago? 6. Cheese overload. It seemed every other stand was a cheese vendor. Even a cheese lover like myself has a cheese tasting tipping point. It's also become hard to tell them apart and remember who is who. We need to handy cheat sheet for all the local cheesemakers and their specialties. The care and respect each vendor had for their cheese is always interesting and good to hear about, though. (Here's a cheese wheel cheat sheet). 7. Gluten-free is the new cupcake. The gluten-free movement is breathtaking. A few years ago gluten-free was an afterthought. Now you can attend a food and farm fest laden with options that actually taste good. Seemingly everyday we see restaurants and food vendors market gluten-free options. It's become hip to say you follow a gluten-free diet. 8. Best marketing award. 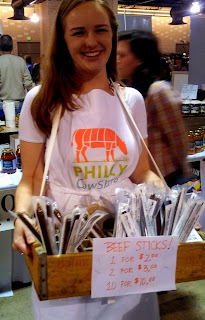 Easy winner was Philly Cow Share for their beef stick vendor. Business was brisk to the say the least. 9. Thank you Fair Food. 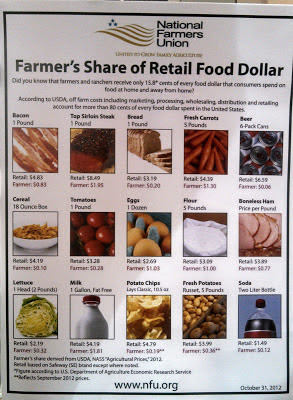 We should all be thankful for everything they do to support local farmers and help grow the local food movement. They're integral to Philly's food scene and culture. Please make sure to support them or attend some or all of their events. Check out our pictures from Brewer's Plate, an annual can't miss event.